Now that’s what I call a name. Just say it out loud…Remington Steele. It just rolls off your tongue, doesn’t it? And the name was so perfectly suited for its intended purpose. For those of you who might be unfamiliar, Remington Steele was an American television series, starring Stephanie Zimbalist and Pierce Brosnan, first broadcast on the NBC network from 1982 to 1987. The series blended the genres of romantic comedy, drama, and detective procedural. The premise was that Laura Holt, a licensed private detective played by Stephanie Zimbalist, opened a detective agency under her own name but found that potential clients refused to hire a woman, however qualified. To solve the problem, Laura invents a fictitious male superior whom she names Remington Steele. Through a series of events Pierce Brosnan's character, a former thief and con man whose real name is never revealed, assumes the identity of Remington Steele. Behind the scenes, a power struggle ensues between Laura and Mr. Steele as to who is really in charge, whilst the two carry on a casual romantic relationship. Let’s get back to the name (because that’s really my topic of discussion today) and everything it conveys. Strength, stability, decisiveness, upper class, controlling personality, to name just a few that come to mind. And that’s the point, isn’t it? Laura Holt’s character (and the show writers) chose that specific name to imbue those traits on a figurehead to bring in clients, but over the course of the show we watch as the Pierce Brosnan character tries to live up to those characteristics – with both comedic and heartfelt results – while at the same time slowly bending perception to match his own. When we’re choosing names for our own characters, does the same amount of forethought go into our choices? I’m betting your answer is yes. Heck…some of us have even taken a pseudonym to publish under because our own name isn’t “catchy” enough. Think about it…would Catching Fire have sold as many books if Katniss were named Sally instead? Or what if Tris from Divergent was named Linda? I’m not trying to say that character names make or break a book – good writing is good writing no matter what names they use – but I do believe it can be impactful. But there are times when I feel writers try too hard with the names they pin on their characters. I recently finished a trilogy where the main character was called ‘Jazz’ – and he was a boy. Personally, I associate that nickname with a girl and by the end of the series I found his name almost a distraction, especially when other characters starting pointing out that he had a girl name. To me, this was a case where the writer could have settled for something more mainstream and delivered a superior read. In my first two books (Mystery/Thriller) my character names were really pedestrian. Lee, Dianne, Billy, Kent, Raymond. See what I mean. I didn’t really put that much effort into the names for those because, frankly, I wasn’t sure anybody else besides my immediate family would ever read them. But for my latest effort – Moving Fear (YA Paranormal/Mystery), the one that helped me land an agent, it was different. So much so that my main character ended up with two names. His given name is Chace…but he’s fifteen years old…rebellious…and upset that his father has remarried so soon after losing his mother to cancer. He decides to go by his middle name (Knox) so his step-mom won’t call him by the name his real mother used. His sisters and grandma refuse to buy-in to what they deem is an adolescent tantrum and adopt the change, but others just go along…or don’t know any better. The name becomes more than an identifier – it becomes a way to drive conflict. What about you? What was your thought process behind how you named your characters? Was there one? Do you think there are any trends in current literature that involve character names? Remington Steele was a great show. And yes, a great name. While the main characters of my books were chosen years ago, secondary characters were chosen quickly I'm afraid. I just brainstormed a bunch of science fiction names and matched them up in less than thirty minutes. My upcoming book took more effort and thought, as the names had to have a British flair. I usually spend a fair amount of time choosing my characters' names. The name has to fit them culturally, or make sense for them for some reason. I often delve into meanings and own a great book that has names listed by country of origin, which is pretty cool. However, in my current WIP, one of my characters chose her name. It wasn't a name I would've chosen, nor is one she would've chosen, but somehow it suits her. I love the images or impressions that names can give of a person! I do think, though, that we can be biased by previous experiences or people we know/used to know, or even characters from other books with the same name. So that we come to a new name with preconceived notions and it doesn't sit quite right for this new character, etc. I try to be open-minded no matter what a character's name is. It's their personality that is most important for me; if the name fits/suits them, all the better! Most of the names I chose came from the Bible. I wanted them to be very solid. You know, I've never watched Remington Steele. The weird thing is that my characters come to me already named. When I first got the idea for Touch of Death, I heard a little voice in my head that said, "My name is Jodi Marshall." For The Monster Within, this tough girl told me to call her Sam, not Samantha. I just go with it. ;) I think I'd be at a loss if the names didn't just pop into my head this way. I can't say Remington Steele without thinking romance. As to my characters, they absolutely must have names that reflect their personalities and the story they inhabit. My most recents I love. Hutchinson (Hutch) McQueen had to be Double Negative's hero, and Cleopatra (Cleo) Brown had to be Sudden Secret's heroine. I'm laughing here over the idea of Sally instead of Katniss, and Linda instead of Tris. And I remember Remington Steele fondly! What a fun show, even if it was sort of silly. As for character names, other than the main character (who nearly always pops into my head already named), I spend hours and hours, maybe months coming up with the "right" names for everyone else, combing through all those baby name sights for names that sound right or names with certain meanings. Even if the reader doesn't know what it means, I have to know! Oh, I remember loving that show - I'm going to have to look it up. Is it as good as I remember? And the name is great! I admit that some of my names in my books came with great intent: Clara (MC - searching for a "clear" purpose and has "true, clear" purpose when she accepts her destiny), Stelia (a nickname for her mentor that combines her real name and reminds us that she's made of "steel" but she still a lady), and Dantor (I wanted his name to be based on Daniel from the Bible, but be different and infused with strength). Unfortunately, Dantor took a back seat in the first two books, and the lead guys - Adrian and Liam didn't have as much thought go into their names (agh), plus the twin griffin brothers names (Kryssander and Klyan) gave me fits because I kept mistyping them. I don't recommend ever using matching twin names. Names are so important. I love Knox's choice and the reason behind it. I'm careful with my character names too - they convey so much! Names are really important. I grew up always being one of 5 or 6 Kates in my classes at school. So when I had kids of my own, I chose unusual names for them so they wouldn't have to be one of many…. They'll probably hate me for it when they're older and ask why I didn't name them Steve or Joe. That was the perfect name for a fictional detective, wasn't it? The characters was designed to be James Bond-like, from what I recall...so when Pierce Brosnan was chosen as James Bond, I thought, "Hasn't he already done that role?!" Never saw the show but I agree that Remington Steele was an ingenious name for the character. When I've come up with names I've usually riffed off names of people I've known or characters from books or stories that I've liked. Remington Steele reminds me of a men's shaver. Ah, I see why - a quick Google search tells me it's Remington Steel (no 'e' on the end). I usually write non-fiction when I tap into my creativity so I keep the names as is, but I am working on a non-fiction project where I need to change the names. It's a humour piece so after reading this post, I'm really going to think about the character names I come up with! Sally Everdeen for the win! The worst naming advice I can think of was given by the late editor Olga Litowinsky, who recommended naming your characters currently popular names. One, that presupposes you're writing a contemporary set in North America, and two, that's a surefire way to quickly date a book. It's not realistic for every single person born in a certain era to have Top 100 names. We've all known people with outlier names, names which were a lot more popular in previous eras, names which have never cracked the Top 1000, or names which are more common on children under the age of ten than older people. My naming style tends towards classical eccentric and classical unusual, historical names which aren't so popular anymore (e.g., Justine, Felix) and names which are enjoying an increasing wave of visibility or popularity (Beatrice, Ezra). I tend to use more common or popular names for secondary or minor characters. Characters with lesser-used names, within reason, tend to be more memorable than yet another John Smith or Mary Jones. I also like to use less-popular names for my characters from other cultures. 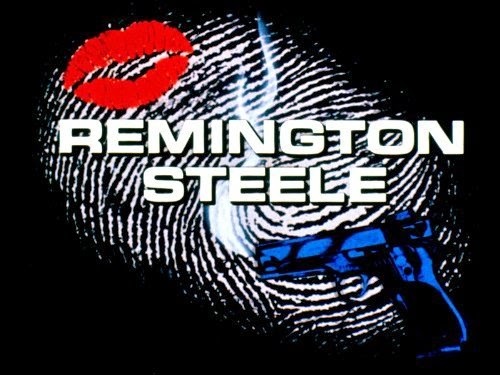 Remington Steele! I'd forgotten about that show. Great premise. And name. Yeah, names are important to me. And I get very upset at myself when I choose one that suddenly becomes popular in current fiction. I went back and changed the name of one of my MC's when I saw his name showing up in novel after novel. Hmph! You want to a name to be relatable, memorable, but not so common that people see it everywhere. I'd love to find Remington Steele floating around in syndication somewhere. It was a fun show. Sometimes I struggle for the right name. Other characters arrive in my head already named and refuse to let me change it. Never seen that show but it's a great name. It sounds debonair. I do think names are really important especially if you can create an impression of a character even before the reader knows much about them. Of course it might be fun to subvert that expectation too. I enjoyed making up my own names for my futuristic dystopian because regular names definitely wouldn't have fitted. I remember Remington Steele. Loved that show. I do put a lot of thought into my character's name. More so than I probably spent coming up with names for my kids. I loved Remington Steele. I also love James Bond. You can imagine my excitement when Pierce Brosnan was first mentioned as a potential James Bond. Timothy Dalton got the nod due to difficulties getting Pierce and I feel there was an opportunity lost. I cannot say Brosnan's turns as the British super spy were among my favorite movies.